BRILLIANT resort and BRILLIANT prices!! 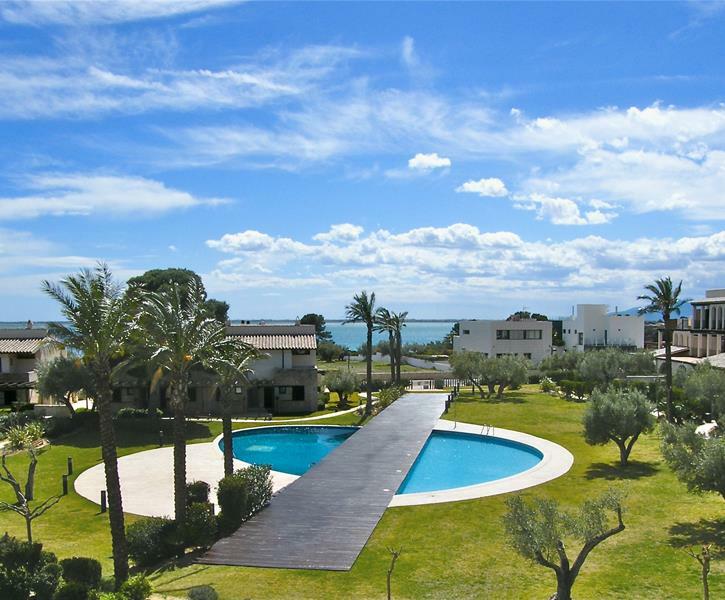 Sea-views galore, great villa,FREE WIFI, twin todder & adult POOLS, fabulous gardens with playground, aircon in every room, beside 4 star hotel & Spa, 400mts to beach of La Mola! !.